In November 2010 the NSW Ombudsman released a report called Responding to the asbestos problem: The need for significant reform in NSW. In response to the Ombudsman’s Report the Government supported the findings of the report and announced the establishment of a central coordination body – the Heads of Asbestos Coordination Authorities (HACA). The HACA aims to ensure that NSW Government agencies and local councils effectively coordinate the safe management of asbestos across all areas of workplace health, public health and environment protection. The HACA has developed a State-wide Asbestos Plan, a Model Asbestos Policy for all Local Councils and an extensive educational campaign to raise public awareness. The 1800 Asbestos Hotline (1800 272 378) has been established by The NSW Heads of Asbestos Coordination Authorities (HACA) to provide free advice and guidance on asbestos-related issues and is a central point of contact for all asbestos enquiries in NSW. Further information about the HACA can be found on the SafeWork website . SafeWork NSW is responsible for the issuing and control of licenses that are issued to all asbestos removal and demolition contractors. SafeWork works with the employers, workers and community of NSW to achieve safer and more productive workplaces, and effective recovery, return to work and security for injured workers. SafeWork NSW administers occupational health and safety, injury management, return to work and workers compensation laws, and manage the workers compensation system. SafeWork NSW’s activities include: health and safety, injuries and claims, licensing for some types of plant operators, registration of some types of plant and factories, training and assessment, medical and healthcare, law and policy. The NSW Ministry of Health has no express statutory responsibilities for managing asbestos related risks and incidents in NSW. The Ministry provides an expert advisory service for the human health related impacts to other governmental agencies on public health issues or when there is potential for public exposure to asbestos. Advice may include technical information or support on potential public health risks to concerned residents and assisting other agencies with the preparation of public health information bulletins. 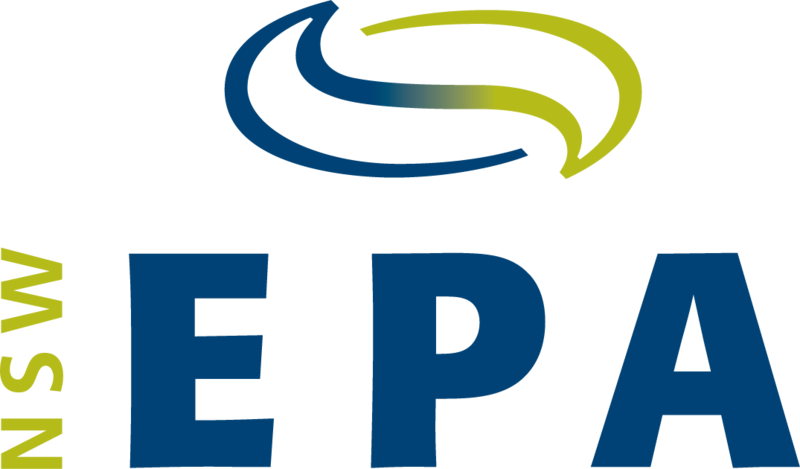 EPA’s role is to regulate the classification, storage, transport and disposal of waste in NSW, including asbestos waste. The waste regulatory framework includes the Protection of the Environment Operations Act 1997 and the Protection of the Environment (Waste) Regulation 2005. Clause 42 of the regulations sets out the special requirements relating to the transportation and disposal of asbestos waste. 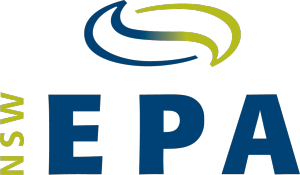 EPA is the appropriate regulatory (ARA) for activities that require an environment protection licence or are carried out by public authorities such as local councils, RTA, Sydney Water etc. Local councils are the ARA for activities that are not regulated by the EPA, which typically include building demolition, construction sites, residential properties, commercial sites and small to medium sized industrial facilities. EPA works closely with local councils to ensure they can fulfil their important ARA responsibilities by providing ongoing capacity building support and guidance. EPA has developed resources to assist local government to regulate asbestos waste incidents and prevent illegal dumping. For instance EPA has published a comprehensive resource called ‘Crackdown on Illegal Dumping: A Handbook for Local Government’, which covers asbestos waste issues. Local Government NSW (LGNSW) is the peak industry association that represents the interests of all 152 NSW general purpose councils, 12 special purpose councils and the NSW Aboriginal Land Council. LGNSW’s objective is to strengthen and protect an effective, democratic system of Local Government across NSW by supporting and advocating on behalf of member councils and delivering a range of relevant, quality services.